Keith Anderson recently completed an internship with Samaritan’s Purse in Mozambique. Samaritan’s Purse staff members working in Mozambique are heavily involved with animal projects, working with chickens, cows, and even goats. Focused on community development, these livestock programs seek to provide wholesome sources of food, financial security, transportation, farming capabilities, and the list goes on. But what actually changes for families that receive these animals? 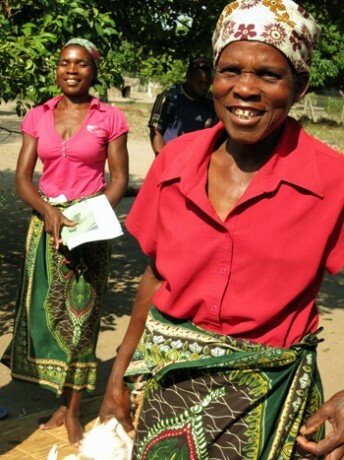 In the province of Gaza in Mozambique, Samaritan’s Purse implemented a program that trained people on how to begin, grow, and operate their own chicken rearing business. Participants were given training, materials needed to get the business off the ground (chicks, feed, medicine, etc. ), and expertise to accompany them along the way. 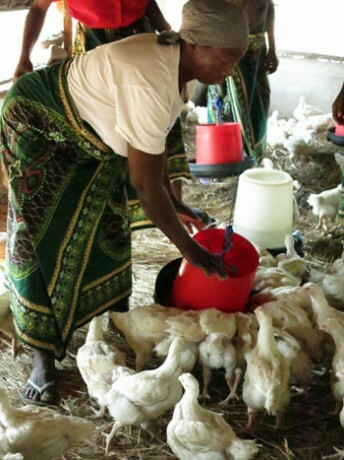 I’m going to show you five ways that the chickens from this recent project changed the lives of six women in the community of Mbanhela, Mozambique. Sometimes people lack even basic necessities. People living in areas with poor economies often consider good food, hygiene, and access to health care luxuries. For Adelina Quiva and her two children, food is the biggest problem. Because flooding is an annual threat in this region, food planted in low-lying areas is at risk of being swept away by the waters. But since Adelina is now receiving an additional income from the chickens, she has plans to improve her productivity in her machamba, or small farm. “My dream is to buy a cow … that can bear young, and … help in the machamba or in the transport from the machamba,” she said. “I want to take my children to school,” said Dedica Magadue as she talked about the plans she has for her maturing chickens. Joana Mamindze feeds the group’s chickens. If education is available but you cannot afford school supplies or transportation to get there, what good is it? And if you cannot pay for these things, as many here can’t, then education remains merely a dream. But these women are not content with just dreaming. The money they are raising from their chicken business is allowing them to pursue these dreams and look hopefully toward the future. “I want to … take my kids to school because the only hope I have is that my kids can come and take care of me in the future,” said Lina Mamundze, another member of the group. Starting a business is a challenge. But with the help of Samaritan’s Purse, Regina Mabone and her friends are well on their way. After receiving training, she knows how a small business should be run. When one lot of chickens goes out to market, another group of chicks must be bought using the profits. Anything left can go toward buying soap and meeting other needs. Like any venture in life, sometimes there are challenges. 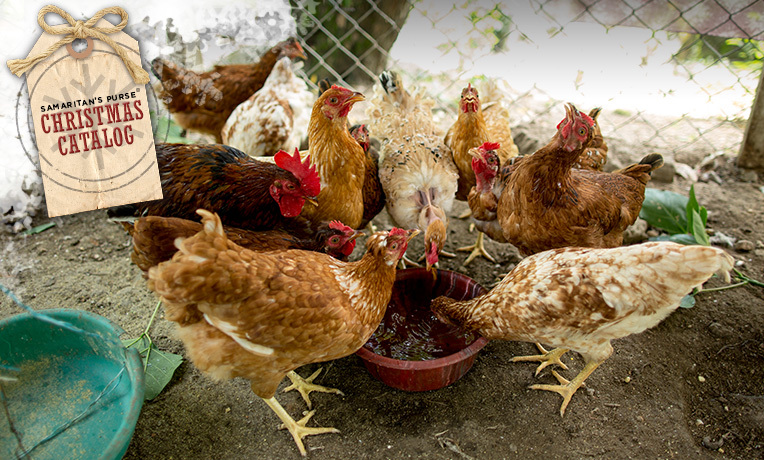 Occasionally, some of the chickens fall sick, and a large number of birds end up dying. 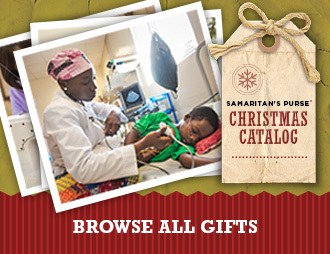 In those instances, Samaritan’s Purse is right alongside the group to provide support and technical advice. Originally, there were only five members in the chicken program. But when a sixth community member saw their success, she asked to be involved. I asked Joana Mamindze what she planned to do with the profits from the chickens. Lina doesn’t only have her children’s education on her mind. 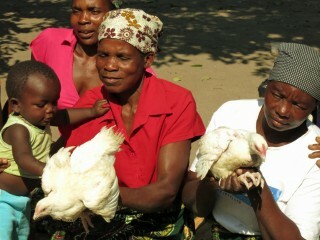 Now that the chicken business supports her, she can meet other needs, such as shelter, for her children. “I want to build a house, a better house, where my children won’t be cold,” she said. The chickens are improving life for Adelina and her two children, mostly by providing them with money to improve their farm. Although only six women have raised and sold the chickens, the profits are helping their entire community. “When we sell and make money here, we take a little bit of money to help the orphans and buy a notebook and take them to school,” Adeline said. These women have a heart for their community, and now they have the resources to make a difference. The way that they deal with conflicts in a peaceable way is an example to others around them. “When there is a problem inside the group, we sit and try to contribute ideas about how to return to [chicken] rearing,” Joana said. Dedica says it’s the love that each has for the other that unites them. They constantly remark how they—with the little that they have received—are able to bless others. “God will see this,” Lina said.